try ko gumawa the best I can ng parang ganyan. but I'll just make the ribbon PINK. "We Broke Up" it's about two exes who are forced to live under one roof. - Shin Min-ah may return to dramaland via SBS drama about single life. - Producer has finished filming their title card in strict conditions, slated for a Friday-Saturday airing on KBS in May. - School 2015 - cast predominantly populated by FNC idols namely Kang Minhyuk, also starring YGK+ rising rookie Nam Joo-hyuk. Shin Min Ah!!! sana gawin din siyang Reyna ng TFATHOA!!!!!! Sana po ipalabas nyo yung.. korean dramas na Iris II, Monstar and Me Too flower thank you po. Sodam-ahhh!!! Dr. Ian's 2nd episode solidified my liking for the show. Dara's expression was perfect in the credits break! I loved the direction, cinematography, OST (probably because its from the same PD as Secret Garden, AGD, Master's Sun?) and acting. Kung ganito na sya kagaling sa una nyang project sa SoKor, hindi malayong makita na sumama sya sa ranks ng ibang successful idol-turned-actors in the future. I'm excited to see her further improve. I especially loved her acting in Episode 5, that scene was one that I was really looking forward to from the teasers, and it delivered more than what I was expecting. Nagka-goosebumps ako. Surprisingly mas magaling sya sa dramatic scenes.. some of her cute scenes were admittedly awkward. But that can be fixed with training and experience. I can't wait for "We Broke Up" where she plays a completely opposite and strong character! It's interesting how Dara is landing projects from well-renowned production teams (then again, she is popular and comes from a big company). 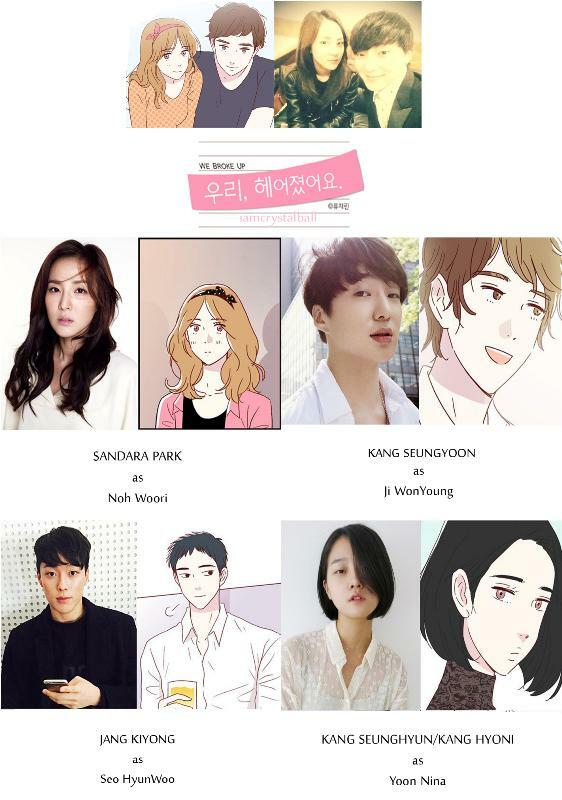 WBU will be directed by PD of Love Cells which I believe is the most successful K-web drama to date. I hope by the end of the year we will see her leading her own TV drama, 10 minutes per episode is torture!! and there are more surprises to come! excited for Producer, please ABS, baka salvage nyo na itong drama ito for your upcoming lineup. really looking forward to the meta --- I mean CTH plays a variety PD for the "4th" season of 1N2D haha I love how they are not making up a fictional showbiz world but basing fictional characters in real-time backgrounds. nbasa ko sa pinoy exchange kanina ayon s source nla s loob na my On going na daw tagalized version ng kdrama good doctor mganda daw ang pgkkdubb sa bdang lalake hnhntay n lng tlg kng kelan pplbs to sa prime time to. Kumusta na ang krusada sa programming fellow kn addicts?